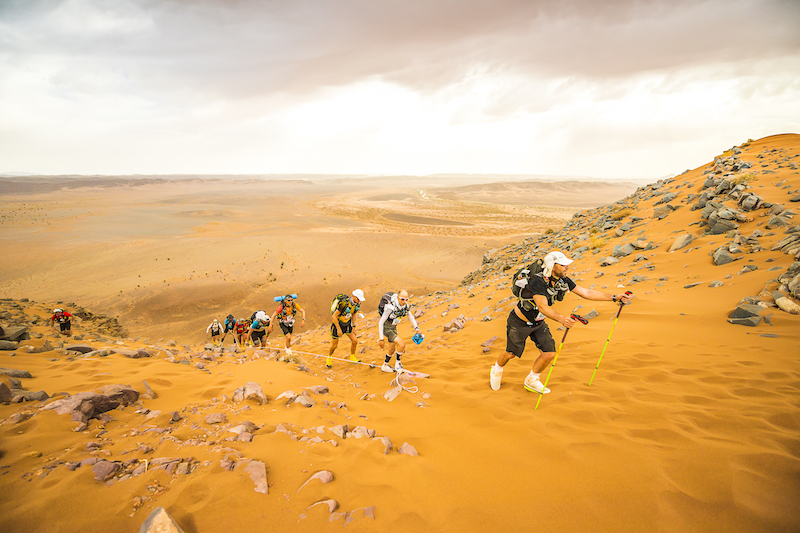 The 42.5 kilometers of what is known as “the marathon stage” was all that stood in the way of runners and the finish line of the world’s longest desert race hosted in Morocco. The remaining survivors of the Marathon des Sables take on the final competitive stage of the race. 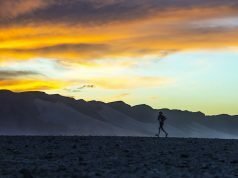 Photo courtesy of Marathon des Sables. 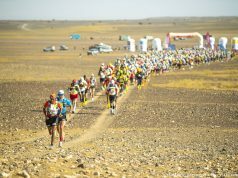 Rabat – The final competitive leg of the 34th Marathon des Sables (MDS) was the fifth stage of the race nicknamed “the marathon stage,” which took place on Friday. The stage’s 42.5-kilometer course was all that stood in the way of the remaining 756 runners. The world’s longest desert race, hosted in the deserts of southern Morocco, came to an end when the last runners conquered the marathon stage and crossed the finish line. For the seventh time, Moroccan runner Rachid El Morabity took home the men’s first place spot. 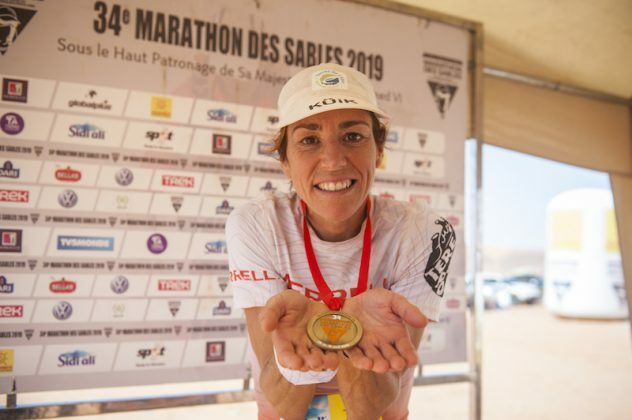 First time MDS competitor and Dutch runner Ragna Debats kept a double-Moroccan victory out of reach by taking the women’s first place spot. 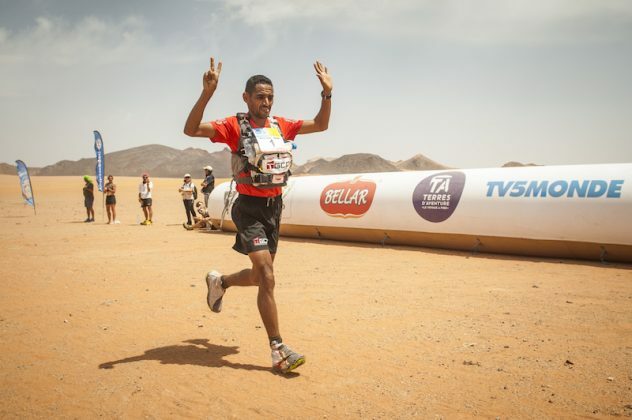 Moroccan runner Rachid El Morabity raises his hands in victory as he nears the finish line of the Marathon des Sables, winning it for the seventh time. Photo courtesy of Marathon des Sables. 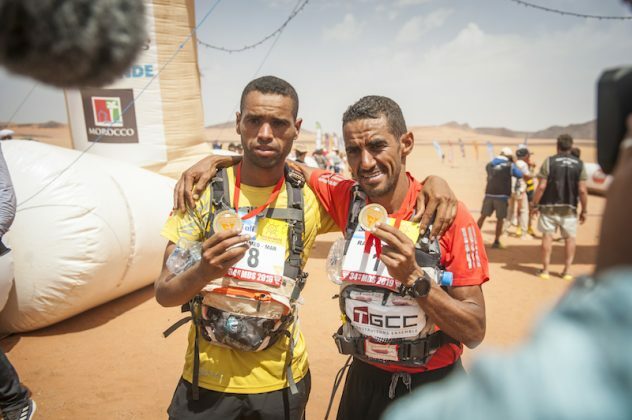 Moroccan brothers Rachid and Mohamed El Morabity pose with their first and second place medals at the finish line of the fifth stage. Photo courtesy of Marathon des Sables. Finally under some shade, Rachid El Morabity holds up his first place finisher's medal, marking his seventh Marathon des Sables win. Photo courtesy of Marathon des Sables. Dutch runner Ragna Debats prepares to cross the finish line of the fifth stage and win her first Marathon des Sables. Photo courtesy of Marathon des Sables. Founder and race director Patrick Bauer celebrates with Dutch runner Ragna Debats after she crosses the finish line and wins the Marathon des Sables. Photo courtesy of Marathon des Sables. Dutch runner Ragna Debats holds up her first place finisher's medal after she wins her first Marathon des Sables. Photo courtesy of Marathon des Sables. While the shorter distance was a relief to many, race organizers made sure the terrain of the final stage was equally as challenging as the previous stages. The most brutal parts of the stage were the run through Jebel El Otfal and the climb of a 250-meter-high sand dune with an average slope of 25%. Runners left the start in two sections, with the bulk of the pack leaving at 7 a.m. and the top 150 runners departing three hours later at 10 a.m.
Past the finish line was the MDS’ most scenic bivouac, bordered by the Zireg mountains and surrounded by sandy plains with grass gardens, runners were left sweaty and speechless. Also at the finish line was an MDS legend in the flesh, founder and race director Patrick Bauer, who waited for every single competitor to give them their finisher medal. 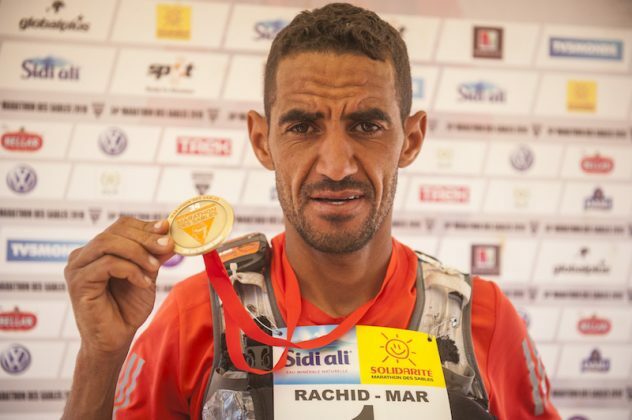 Moroccan runner Rachid El Morabity finished first in the fifth stage and won the men’s competition for the seventh time, inching closer to his goal of equalling Lahcen Ahansal’s record of 10 victories at the MDS. In keeping with the last four stages, Rachid’s younger brother Mohamed El Morabity finished second in the stage and second overall. The two brothers, along with their teammate Abdelkader El Mouaziz, led the Maroc TGCC team to be the overall winning team. After a week of dominating the competition, Dutch runner Ragna Debats came in first for the fifth stage and officially won the women’s competition. The 40-year-old 2018 Trail World Champion powered through her severe back chafing and took home another prestigious first place victory. Not far behind her was Moroccan runner Aziza Raji, who has finished second to Debats during four of the MDS’ five stages. 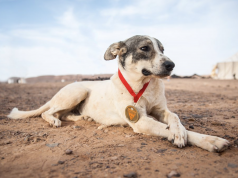 Raji dreams of one day taking after Touda Didi, the only Moroccan woman to have won the ultra-marathon. 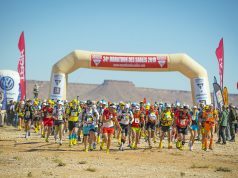 The final stage of the MDS is known as “the charity stage” or “the solidarity stage,” and its six kilometer distance is what matters the least. 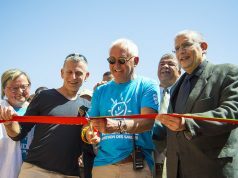 The stage allows first and last place runners to celebrate the end of the MDS together, while supporting the Marathon des Sables Solidarity Center. The stage began in the morning of Saturday, April 13. Morocco World News will continue to provide updates on the marathon throughout this last stage.